South Summit already has its 100 startups finalists for its upcoming edition, and Situm is among them. 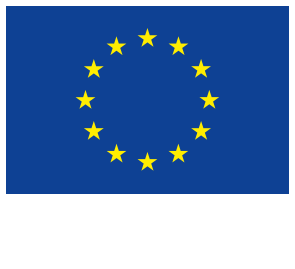 The indoor and navigation positioning platform will participate in the international meeting which will take place at La N@ve, Madrid, 4 to 16 October 2017. Among the criteria taken account to choose the 100 projects where the innovation brought to the market, the scalability of the technology and the team that make it up. Situm, founded by three PhDs in Robotics, has one of the most accurate technologies of the market. Its system combines the information from inside of a smart device (compass, accelerometer, inertial sensors…) and from the environment and the signals collected by the device (WiFi, Bluetooth, magnetic field modifications…). Also, and thanks to this, the system is capable of work without the need of new hardware, so that is one of the most competitive solutions of the market. The projects chosen for the South Summit Startup Competition correspond to innovative and disruptive initiatives of the main industries: Smart Mobility, Travel & Tourism, New Money, Content & Channels, Healthcare & Biotech, Lifestyle & Fashion, Energy & Sustainability, Art & Culture, as well as initiatives related to B2B and B2C. This year, for the first time, the winning startup will compete in the Startup World Cup in Silicon Valley. In the 2015 edition of South Summit, Situm was among the Top 5 Digital Solutions for Mass Markets.